Billy Corben, the director behind the acclaimed documentary “Cocaine Cowboys,” turns his focus to the world of performance-enhancing drugs for his latest movie. “Screwball” is a comedic documentary that looks at the rise and fall of Anthony Bosch, the doctor who provided PEDs to some of the biggest names in Major League Baseball, including Manny Ramirez and Alex Rodriguez. Corben and his longtime producer Alfred Spellman tell Business Insider why the rise and fall of Bosch’s empire had to be told through casting kids in the doc’s reenactments and why it’s the most Florida story they have made yet. “Screwball” opens in select theatres Friday and will be available through Video On Demand April 5. In the office of Rakontur, the South Florida-based production company of “Cocaine Cowboys” director Billy Corben and producer Alfred Spellman, there’s a spreadsheet that the duo have been building for most of their professional careers. It’s a unique wish list with the names of shady characters who became notorious in their hometown of Miami that they hope to one day make movies about. Checked off that list already are the figureheads behind the cocaine blizzard that hit the beaches of Miami in the 1980s, which became the subject of their breakout documentary “Cocaine Cowboys.” There’s also the outlandish University of Miami football program during the 1980s, which they profiled in “The U” as part of ESPN’s “30 for 30” documentary series. 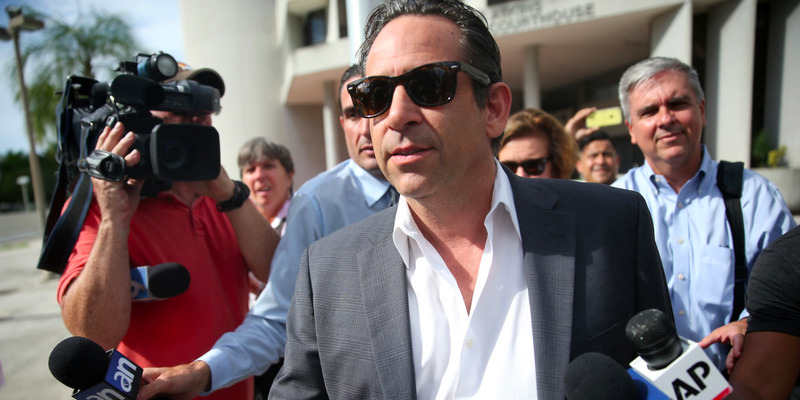 And within the last year, they were surprised to check another off the list: Biogenesis owner Dr. Anthony Bosch, better known as the man who provided performance-enhancing drugs to numerous Major League Baseball players, including Manny Ramirez and Alex Rodriguez. And with Bosch, they had hit the jackpot. Getty ImagesAlex Rodriguez, who was suspended an entire season after it was revealed he used performance-enhancing drugs provided by Anthony Bosch. Corben’s “Screwball” (in theatres Friday and on VOD April 5) is a zany documentary that looks inside Bosch’s Biogenesis operation, which was touted as being a rejuvenation clinic operating out of Coral Gables, Florida, when in reality it was a one-stop shop for athletes to get their human growth hormones, obtained by Bosch often on the black market through the help of gangsters who were using South Florida tanning salons as a front. And it was all overseen by Bosch, who never had a licence to practice medicine in the US and studied just three years at a medical school in Belize. It inevitably all crumbled when Porter Fischer, a disgruntled “professional tanner” who was helping out Bosch with marketing for the company, wasn’t paid back $US4,000. So Fischer took notepads and documents that revealed the big-name clients Bosch had and handed it all over to a reporter for the New Miami Times, which ran an explosive story about MLB players’ involvement with Bosch. 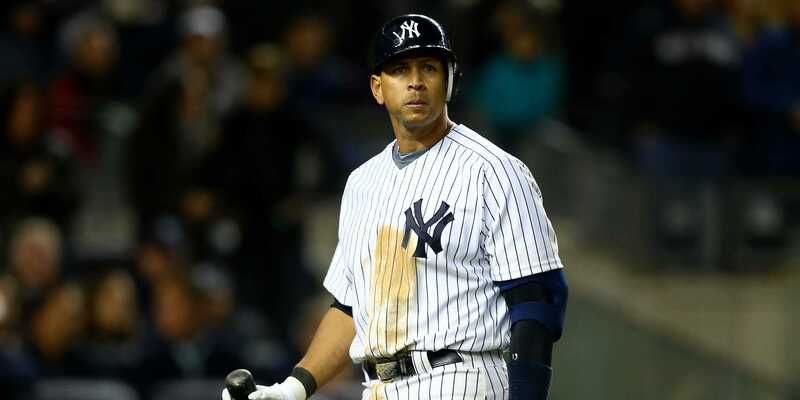 It led to suspensions for 13 MLB players in 2013, including a full-season suspension for Rodriguez, then the highest-paid player in the game. And strangely it all fell in Corben and Spellman’s laps very quickly. Months before Bosch would be sentenced in 2014 for conspiracy to distribute testosterone, Spellman got a call out of the blue from a friend of Bosch’s who said the doctor wanted to talk to him and Corben about making a documentary. The plan was that Corben would interview Bosch before he went to prison, which Bosch assumed would take a little time as he was currently in a drug rehab program. But on the day of sentencing, Bosch was hit with a four-year sentence and immediately hauled off to a white-collar prison in Alabama. Miraculously, things didn’t end right there. A few months after Bosch’s sentencing, Corben got a call saying that the whistleblower behind the collapse of Bosch’s empire, Porter Fischer, also wanted to tell his side of the story. Corben couldn’t ignore the good fortune. After writing letters to Bosch in prison, Corben learned that he would only do 20 months of his sentence (thanks to cooperating with prosecutors), so once Bosch finished his time in prison, Corben went forward with the movie. He interviewed Bosch and Fischer separately over the span of six days last year. 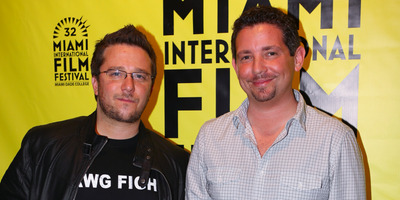 Seth Browarnik/WorldRedEye.com(L-R) ‘Screwball’ director Billy Corben and producer Alfred Spellman. From the start, Corben was taken by how vivid both Bosch and Fischer’s recollections of events were. Corben wanted to capitalise on the storytelling talents of his two main subjects. Knowing this movie wouldn’t have a lot of archival footage like his past work, as most of the story revolved around chats in Bosch’s office, night clubs, or in tanning salons, for the first time in his career Corben would have to film reenactments. However, with a title like “Screwball,” they couldn’t be conventional. “I was starting to assemble the interviews we shot and I thought, ‘My God, all these guys are acting like such children,’ and the light bulb went off,” Corben said. The director would cast kids to reenact the scenes Bosch and Fischer told so vividly. It was an idea that had been in the back of Corben’s mind for at least a decade. It started all the way back when he wanted to do a documentary on Scientology and stumbled across an off-Broadway musical in the East Village of New York City titled, “A Very Merry Unauthorised Children’s Scientology Pageant.” The cast was made up of elementary school students telling the life story of Scientology founder L. Ron Hubbard. At the time, Corben wanted to option the rights to the musical so he could use it as a framing device in his Scientology movie. He even got as far as talking to the writers of the musical. But the project fell though and was never made. However, with Bosch’s wacky story, Corben felt the kid aspect could fit perfectly with the doc’s tone. From the start of “Screwball” that comedic feel is laid out to the audience, as the opening goes from a traditional talking head interview with Fischer and cuts to a kid version of Fischer in a reenactment of what he’s describing in voiceover. The rest of the story Fischer tells is then reenacted by kids, who are even lip syncing what Fischer is saying (think of an episode of Comedy Central’s “Drunk History”). And along with kid versions of Fischer and Bosch, there’s reenactments that feature kid Alex Rodriguez, Manny Ramirez, Miami gangsters, MLB investigators, and even Miami hip-hop legend Pitbull. And though the reenactments have a playful tone, Corben was extremely serious about authenticity, picking out the wig himself that the kid playing Anthony Bosch would wear, and insisting that costumes for the Miami police were designed to represent the correct municipality by colour of the uniform and correct badge style. “It took a very Wes Anderson level of attention to detail, it almost killed us,” Spellman said half-joking of the 10-day reenactments shoot, which included them filming at some of the actual locations Bosch and Fischer reference in their recollections. And then there’s the story itself told in “Screwball,” which at times is more bizarre than watching kids playing gangsters and Major League players. Bosch weaves a stranger-than-fiction tale in “Screwball” of his ascent to becoming pro baseball’s go-to guy for PEDs (though he also provided them for college and even high school ball players). He recounts his first meeting with Manny Ramirez, when the player didn’t greet him with a handshake but instead patted him down to make sure he wasn’t wearing a wire. And he talks of later becoming a part of Alex Rodriguez’s entourage. Bosch claims one night when they partied at the posh Liv night club in Miami, he lost a vial of Rodriguez’s blood he had just drawn from him in the bathroom and the two crawled around the nightclub looking for it. And things get even more bizarre when the MLB begins to investigate Bosch. Throwing cash around South Florida like it’s Monopoly money (with Rodriguez’s camp doing the same to try to get him out of trouble), instead of getting assistance, they get conned by gangsters. In all, it makes “Screwball” the ultimate “Florida Man” story, which begs the question, what motivated Bosch to go on camera and retell his rise and humiliating fall?